Dogs are highly intelligent creatures, and they can be trained to learn a lot of human behaviors through patience and proper care. The right training at a young age can determine their efficiency as a companion. Of course, not all dogs are the same, and no matter how hard you try, all dogs will cause some trouble or have accidents once in a while. 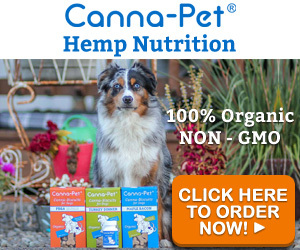 However, the basics of potty training can be taught to any dog to ensure that potty accidents do not happen in restricted areas in or outside the house. Owning any pet is a huge responsibility so to care for a puppy, you should be willing to sacrifice plenty of time and pay enough attention to build a strong bond in their early years. Preparing a dog door also is essential to provide an immediate environment for the puppy to freely roam. When bringing a dog home, it is essential to set him free to explore the house on his own. In doing so, he might mark the places he feels comfortable to urinate. When he does that, immediately interrupt him and take him outside to the place he’s supposed to pee or potty which will start to give him a sense of right and wrong. Obviously to potty train a dog by having a doggie door you must first choose a door. You may want to consider one of these dog doors. 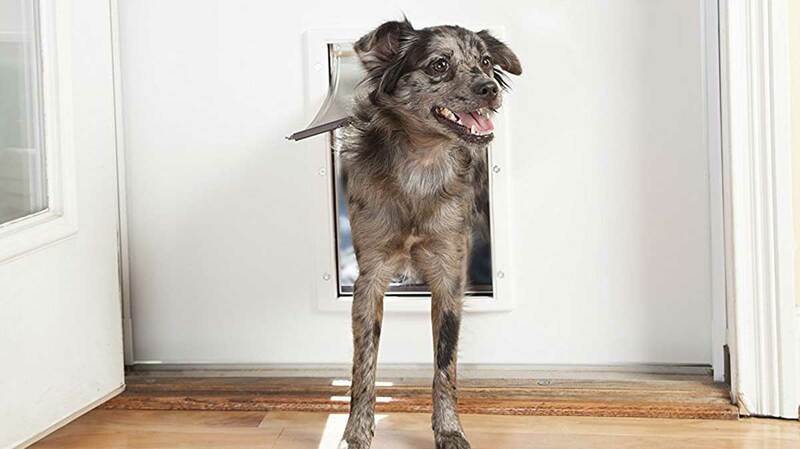 Once installed, introducing the dog door is the foremost step to mastering potty training whether you have a new puppy or an older canine companion. Initially, dogs don’t understand the use of a dog door, but you can introduce it to them by coaxing them to walk through it. They might not immediately follow the steps, but once you set up a confinement area with only the dog door to exit from, they are more prone to instinctively use it. You can set up the confinement by fixing a playpen or a baby gate to prevent them from walking through other available exits. Confine the pup in a barricaded space at the doggie door inside the house and stand outside, directly on the opposite side of the dog door. Open the dog door and place your hand through it to let it know where you are. Coax gently with your voice, pet your dog, but don’t force him through the door. If the puppy is not ready to walk through the dog door, give him some time to inspect and explore on his own. And try again with the flaps open or taped until the puppy is confident to walk through it on his own. Lure the puppy to come out through the dog door by offering praises and calling his name. If he goes through the door, praise him so that the puppy knows that it is a good thing. Once he confidently walks out, repeat the process on the other side of the door. As a puppy, his attention span is still very low, so remember to keep the training short but frequent. And as the puppy learns to use it without hesitation, you may limit the treats but continue to reward it with praises and cuddles. Beyond the doggie door, it is essential to teach the puppy to go out to poop. If you notice that the puppy is peeing (or pooping) inside the house, pick it up and take it outside immediately. After it has completed the deed, bring it back in, point to the place where he peed or pooped and admonish the puppy with a strong, “No. Bad dog.” To help discourage him from peeing in the same spot, which dogs love to do, clean the area with a fragrant disinfectant or pet odor eliminator. For stubborn puppies that refuse to learn, hit the spot and use gestures that show that it is wrong to pee there. You can do this by slapping the area, not the puppy, with your palm or a folded paper or something hard and loud to frighten it. Once the dog is afraid of the loud sound, he should stop going to the same place. The pup might not immediately stop peeing around the house, but with repeated gestures, it will learn where not to go, which usually comes more easily for dogs once they are over six months old. Pay close attention to the behavior of your puppy for the first three months. He might whine, get aggressive or become restless when he needs to go out. If you notice these behaviors, immediately take him out (through the doggie door if he’s gotten the hang of that) and linger outside. Your puppy should wander, inspect and finally release if he needs to. At that time, reward him again. Time the bathroom schedule by taking your pup outside through the dog door after every meal and keep him out until he completes the deed. This process requires a lot of patience, but the result is worth it. Once the puppy pees, take him back in through the same dog door. 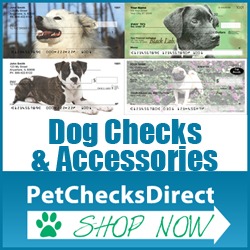 It is also essential to understand that different breeds have different needs. Tinier dogs like a Chihuahua have much smaller bladders and need more frequent toilet breaks than bigger dogs such as a German Shepherd. Communicate by using different tones and hand gestures to differentiate between wrong and right, and with close attention, your puppy will adapt to your commands and finally graduate potty training! Featured image is this PetSafe door.